With fusarium risk at higher levels than last year, an accurate measure of pre-harvest rainfall can help growers complete field risk assessments for mycotoxins and ensure clean wheat is stored separately from potentially contaminated grain, maximising returns. In terms of rainfall-related risk, the latest AHDB-funded fusarium risk report, carried out by ADAS, shows 73 per cent of the UK wheat crop to be at moderate risk, 16 per cent at high risk and 10 per cent at low risk, with a small proportion at very high risk. The largest areas of high risk crops are in Kent, Norfolk, Cambs, Shrops and Staffs due to rainfall exceeding 40mm when some crops in these areas were flowering, according to the report. AHDB has produced a risk assessment form which covers risk factors such as previous crop, cultivation method, rainfall, fungicide application levels and variety. 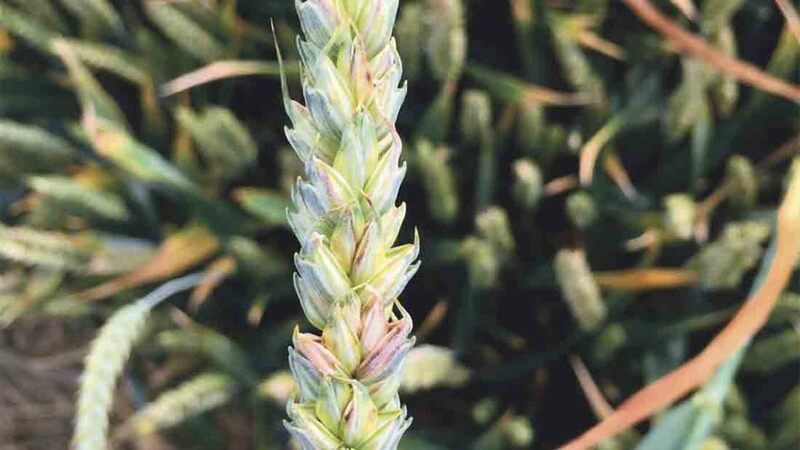 Although the critical flowering period is over, factors such as lodging can also increase the likelihood of wheat being infected, he warned. “If you have got a potentially higher premium crop, prioritise it in terms of harvesting and try to segregate it. Different fields could have different values. If it scores 16 or more don’t mix it with a 15. Boost for blackleg control prospects?